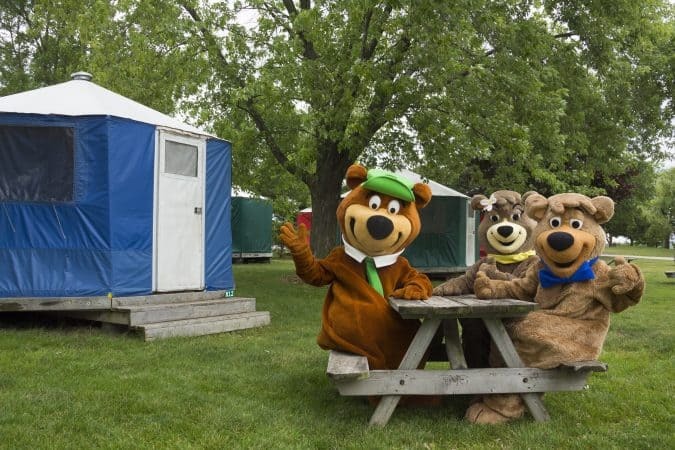 Yogi Bear’s Jellystone Park™ is one of the cleanest and best maintained campgrounds in Ontario. Whether it's our comfort stations, heated in ground swimming pool, or spacious camp sites, our facilities are cleaned and maintained to the highest standards. All of our sites are dedicated to family camping. Our daily activities and recreation facilities are ideal for parents and grandparents with children. Your health and safety is always our primary concern. All of our water is supplied, treated and monitored by our local municipal government, under the authority and approval of the Province of Ontario. Our heated in ground swimming pool is monitored, inspected and approved by the Simcoe County Health Unit. Our lawns and gardens are professionally maintained. The Park sits high and dry, overlooking the rolling hills of Bradford West Gwillimbury.